How can medical professionals tell whether individuals have a disease? The simple answer is that body tissues are examined under the microscope, but the long answer involves reams of research and hours of study and intense examination. The study of the causes and effects of disease is called pathology, and is practiced in concern with all areas of the body, including the mouth. Oral pathology covers a wide range of diseases—from ulcers to cancerous tumours, and is practiced by most dental clinicians. The ability of dental clinicians to recognize and identify oral diseases ensures that patients can be referred to specialists quickly and efficiently, which may in turn limit the damage caused by diseases. This is much easier said than done, however, as the world of pathology, only really accessible by microscope, can be extremely difficult to navigate. What may be a sign of disease may look just like healthy tissue to the untrained eye, or it may even look like something else entirely—an object or picture from the world outside the microscope. This quiz gives you the chance to try your hand at identifying oral diseases as seen under the microscope. Each question will give you two images to choose from: one is oral tissue affected by disease, the other is a random object. See how adept your pathological skills are, and learn all about the diseases that you’re identifying! Featured image credit: Fig. 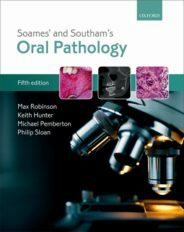 2.30 from Soames’ and Southam’s Oral Pathology, by Max Robinson, Keith Hunter, Michael Pemberton, and Phillip Sloan, (OUP, 2018). Used with permission. Max Robinson is a Senior Lecturer in Oral Pathology at Newcastle University. Keith Hunter is a professor of Head and Neck Pathology at the University of Sheffield. Michael Pemberton is a consultant in Oral Medicine and is an honorary professor, University Dental Hospital of Manchester. Philip Sloan is a professor of Oral Pathology at Newcastle University. Together, they are the authors of Soames' & Southam's Oral Pathology: Fifth Edition, published by Oxford University Press. Amy Cluett is a Marketing Assistant at Oxford University Press.